Cleansers are an essential part of the skincare regime and are not used only for removing makeup. I am always on the lookout for the perfect cleanser which will suit my skin type. I have oily skin which is prone to frequent breakouts and hence getting the perfect cleanser is a mandate. I was looking for a cleanser which would remove all dirt and oil from my face and would also cleanse my pores. 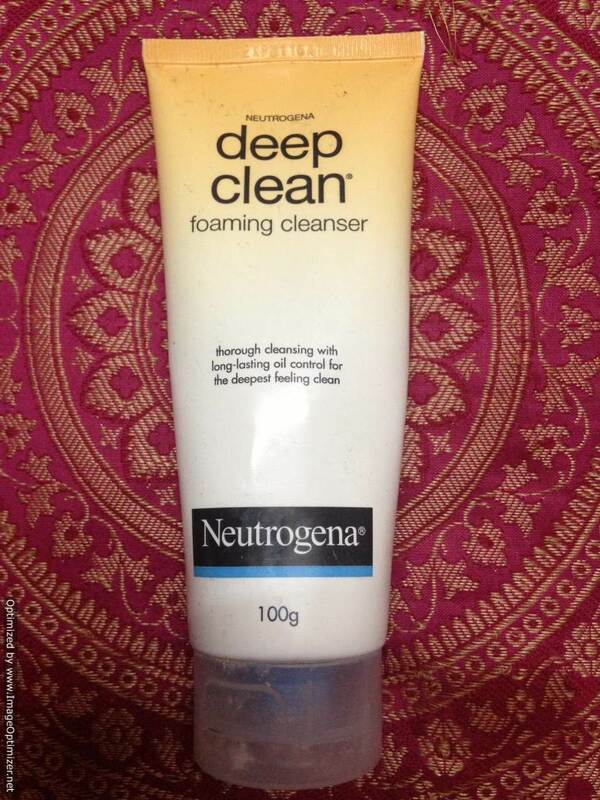 I have tried a lot of cleansers but they weren’t efficient in cleaning my clogged pores. Also some left me with really dry and patchy skin. Hence I was still searching. 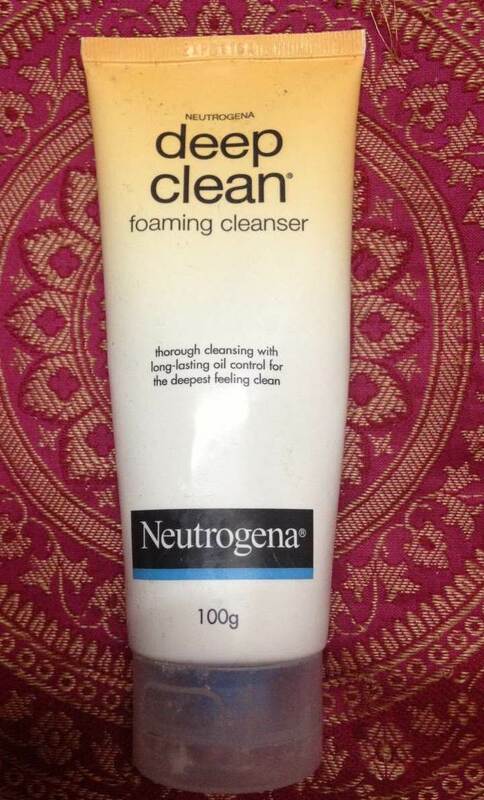 Since I have heard so much about Neutrogena and their cleanser, I had to give it a try. So here is my experience with the product. About the product: Oil Free, Dermatologist tested, Non-comedogenic. It is a refreshing facial cleanser that thoroughly removes dirt, oil and dead skin cells while providing long-lasting oil control to improve the look and feel of skin. This clinically proven formula lathers to a rich, creamy foam which removes skin’s impurities which can be build up in pores such as excess oil, dirt and makeup, even stuff you don’t even know is there. Oil control formula helps reduce surface oil while retaining the skin’s natural moisture balance to keep skin clear, fresh and healthy-looking. Directions for use: Use twice a day. Squeeze a small amount into hands and work into rich lather. Massage onto wet face. Avoid contact with eyes. Rinse thoroughly. 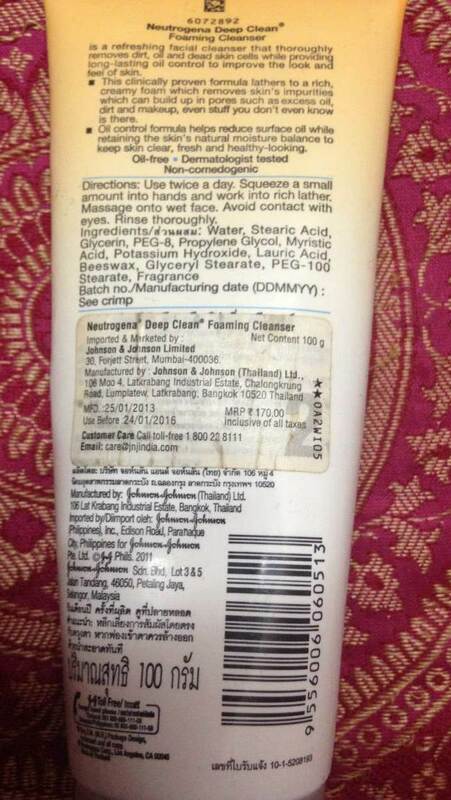 Key Ingredients: Water, Stearic Acid, Glycerin, PEG-8, Propylene Glycol, Myristic Acid, Potassium Hydroxide, Lauric Acid, Beeswax, Glyceryl Stearate, PEG-100 Stearate, Fragrance. Availability: Mostly all local stores stock it. You can also buy it from Fab India’s outlets or online. The product comes in a tube with a flip-top cap. The cap tightly fits the tube so there isn’t any danger of spillage. The cleanser is white in color and has a creamy base. The light weight creamy cleanser lathers well and a small amount is enough for your face and neck. It has a mild and pleasant fragrance which is really soothing. It lived up to the description given on the packaging. It deep cleanses my face and helps me get rid of the oil for at least 2-3 hours. The fragrance and lather are indeed very refreshing. Unlike other cleansers meant for oily skin it doesn’t dry my skin much which is great. The foaming cleanser removes deep set skin’s impurities and excess oil from the skin. My skin feels clean, hydrated and refreshed after using it. It also dries out some small tiny pimples to lessen their appearance; however it is not effective against treating acne per se. The foaming cleanser doesn’t dry up the skin or leave dry patches. However it does give a little pore-tightening effect. It comes in a sturdy flip cap tube which is spill-proof and hygienic. It lathers well and small amount is enough for face and neck. Removes all dirt and oil from face. Value for money- small amount is needed so lasts for a long time. 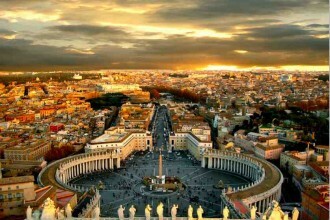 Product is readily available in the market. Skin feels refreshed and clean after washing. Product tends to accumulate at the mouth of the tube. Not effective at removing waterproof makeup. Not suited for those with dry skin as it might dry their skin. 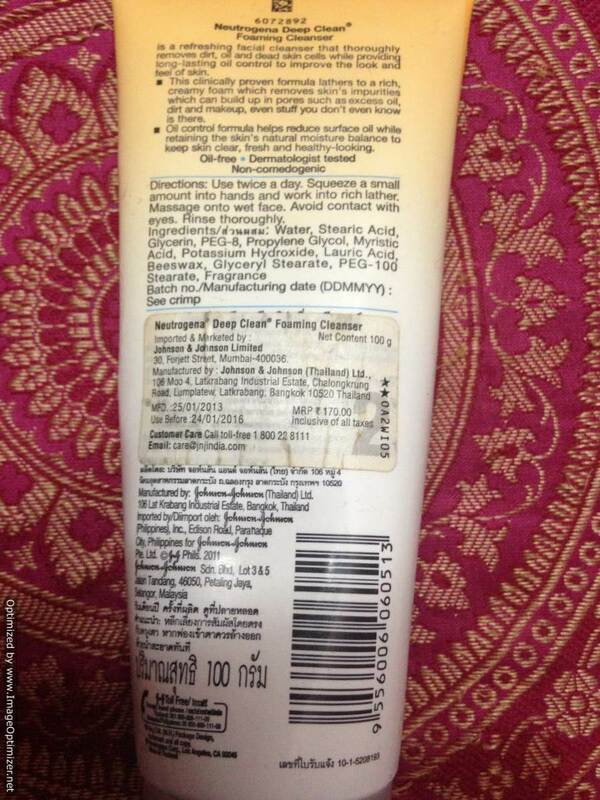 Rating: 4.5/5 as it is not suited for those dry or normal skin. Recommended for: Oily and combination skin girls.